Delve deeper into your movement practice. Tap into your voice and learn how to share mindful movement from Y O U R authentic place. that encourage people to ground into their bodies. creating a transformative movement experience. 200hrs. Ritual Movement. Blending Yoga & Pilates. For Y O U . 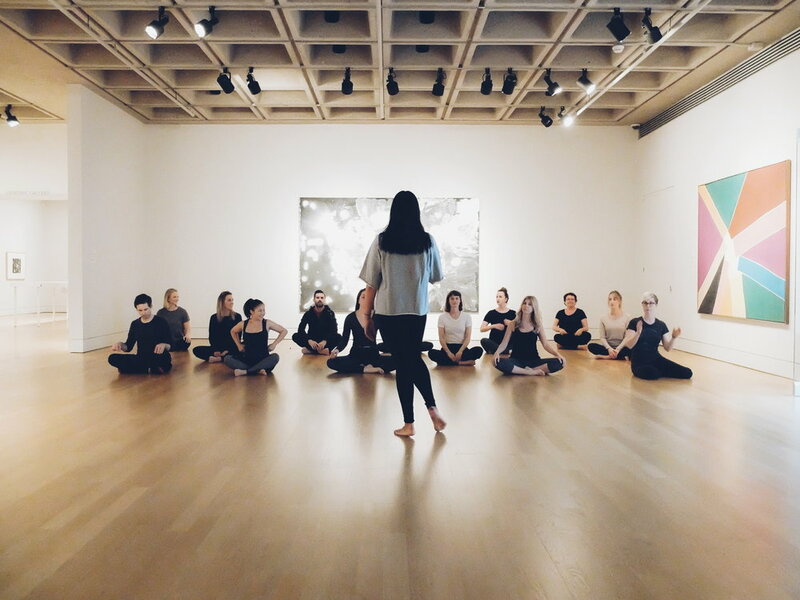 Whether you want to teach or not, whether you've already taken a 200hr training or not, Ritual Island's program can offer you a new experience, a fresh perspective, a coming-home-to-you. Two weekends, every other month from June-December. See full schedule and curriculum H E R E .
$500 non-refundable deposit is due before program start date and will be deducted against your total tuition cost. Payment plans are available. Once you pay your deposit, we'll come up with a fee schedule that is realistic for Y O U. Do you identify as Black, Indigenous, Person of Colour? Then there are special financial considerations for you. It's about time we do something radical to shift the way the movement and wellness industry looks. REPRESENTATION MATTERS and representation happens when we are active about it. We are ACTIVELY seeking YOU out. You are WANTED and NEEDED to build a more inclusive, diverse, accessible movement community. Let's create W A V E S.
Click here for sliding scale or scholarship opportunities. "Robin was an early adopter of the Yoga Detour approach from the very beginning. I remember sitting in a Costa Rican cafe together in 2015, and as I told her about the program her eyes widened, a smile appeared, and she told me that what I was about to create would be a game-changer for the yoga community. Shortly after, Robin enrolled in the inaugural class of Yoga Detour Teacher Training. Her unceasing enthusiasm, bottomless desire to learn, along with her dedication to asking questions and getting to the bottom of real, authentic understanding made her an asset to that class. Since then, I've watched Robin's work truly evolve and become her own. She commands a room with such warmth, sequencing classes that leave people not only feeling incredible but understanding more about their own bodies. Robin is truly a gem - anyone with the chance to learn from her would be remiss not to take advantage of that opportunity." "I remember the day I met Robin, it was over 10 years ago when she came to Downward Dog Yoga Centre, where I was the General Manager, and asked me about attending one of the yoga retreats we were offering abroad. I knew she was a special soul right from the moment I met her; a love for the yoga practice, a genuine desire to learn, a willingness to help and a strong desire to build community. Over the years she took ALL of the trainings at Downward Dog and eventually branched out to Pilates, Thai Massage and attended trainings with Yoga Detour, Misfits and others. I think Robin has possibly attended the most trainings out of anyone I know! What has come of this voracious learning is what she is now teaching and sharing with others; her creative, challenging and informed sequences; her love of community and bringing people together; and her desire to do good and create change in this world. She is a powerful, positive force to be beside and I’m proud to be her colleague and friend and sharing this journey with her."